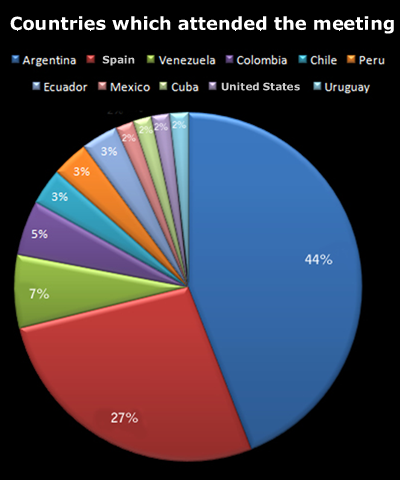 The Interamerican Radiology College has made an effort in maintaining the presence, relevance and dynamism through virtual activities in Internet’s network, participating in events from all the member countries and from our allies RNSA, ISR, ESR, IRQN and showing our sharp growth, which we inform through this successful newsletter that binds us together. 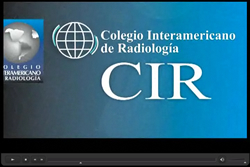 Now we have new airs in the CIR management, more participation and an important enthusiasm in its members. We have our Hymn and Flag as symbols that we highlight in every meeting. We are very proud of the accomplishments and of CIR’s history and we are very committed to even more difficult goals related to the development of this fantastic and wonderful specialty, Radiology and Imaging Diagnosis. We are in the middle of a unification process, a unification of all the virtual information with just one portal in order to sharpen the data obtaining and the continuous medical education through electronic sources, and also the events from each College member. All these actions are oriented to get the Interamerican College we want, since with our participation we will reach that goal of being one of the protagonist medical specialties in medicine’s every day. its logo as well as the bulletin. 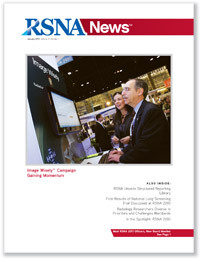 NOTi CIR, which, each month, has the privilege of including a LINK for questions for CIR members, congratulates RSNA News on this anniversary! GO RAD is a new global outreach program developed by the International Society of Radiology. The purpose is to reach out to and advance radiology education throughout a global radiology community by aggregating current, practical, radiology literature with content targeted and dedicated to developing nations and underserved populations. 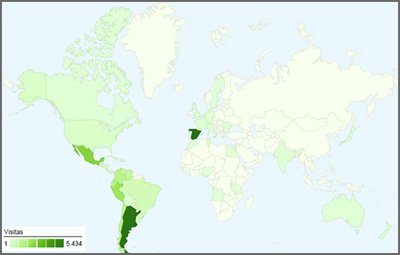 As the world of scholarship and education shrinks by virtue of the electronic tools available, it is appropriate for the international leadership in radiology to look to current and future global needs. Most major radiology journals publish online and offer educational content of tremendous value to radiologists and other related healthcare providers, but open and easy access to just published content is only available to subscribers. Through agreements with these cooperating major radiology journals, the GO RAD platform provides immediate open access to a limited amount of otherwise restricted access content, providing an electronic link back to the original on-line article, at the time of first publication. We hope that you take full advantage of this program to improve the health and well being of all. German physicist (Lennep, Rhineland, 1845- Munich-1923). He obtained his middle grade degree in Apeldoorn, Holland, where his family had taken refuge after the 1848 revolution; and he later studied in the Zurich Technical School. In 1868 he obtained a degree in natural sciences. Physics teacher in Strasbourg (1876), Giessen (1879) and Würzbug (1885). In 1900 he was in charge of the Physics professorship in Munich University and he remained in that position until his retirement in 1920. During his stay in Würzbug, he made various experiences on the rarefied gases discharge; it was a topic many physicists studied those days, among Crookes and Lenard, observing the fluorescence of a barium platinum-cyanide sheet that was casually in the proximities of the discharge blister. Following his researches, he could declare in 1895 that there was a very penetrating radiation of a new kind, which in allusion to its unknown origin, he called X-rays. This phenomenon, worthy enough to ensure him the Nobel Prize in Physics in 1901, was the first one to determine that radiations are atomic phenomenon. Röntgen also made other researches, among which his studies on elasticity and capillarity stand out. Also, his highlighted studies cover the heat conduction in crystal, piezoelectricity and electromagnetic rotation of polarized light. In his honor, his name is used as a unit of X-ray quantity, defining roentgen as the quantity of radiation that an ion that transports an electric charge equal to the charge electrostatic unit generates, in a cubic centimeter of dry air at cero degrees centigrade and 760 mm of pressure. Comments: My most sincere congratulations to everyone. To Dr. Stoopen for his spectacular activity both in and out NOTiCIR, which he kept at the highest level. To Dr. Pedro Unshelm, because his professional acting, his intelligence and his great gift with people have taken him now to the leading position of such an important newsman. To everyone that contributed to reach this structure, I kindly greet you, too; and congratulations for such a great team work. Happy 2011! We expect an active participation, since every message is welcome. They are granted by the society in charge of the organization. They are addressed to CIR members who belong to other countries and who do not live in the country hosting the event. Requests should be sent to the CIR Administration Office.